[From 5 May 2016] The Planet Jr. rides again. 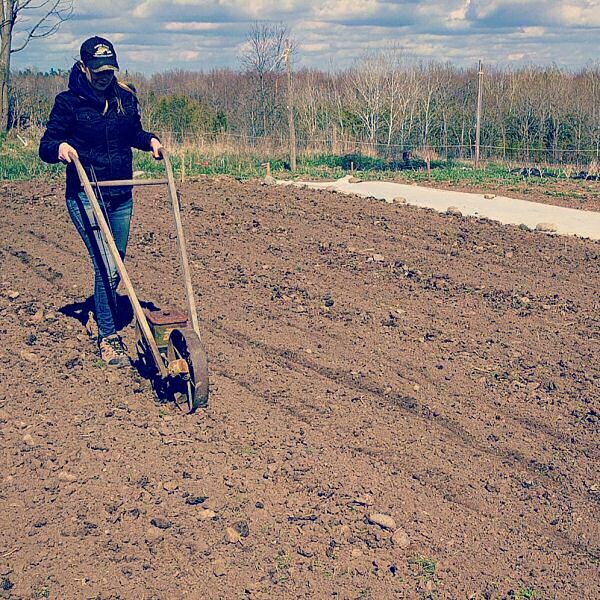 Clara learns the way of the antique seeder, having just laid down three rows of Kestrel beets. This old seeder continues to serve well!